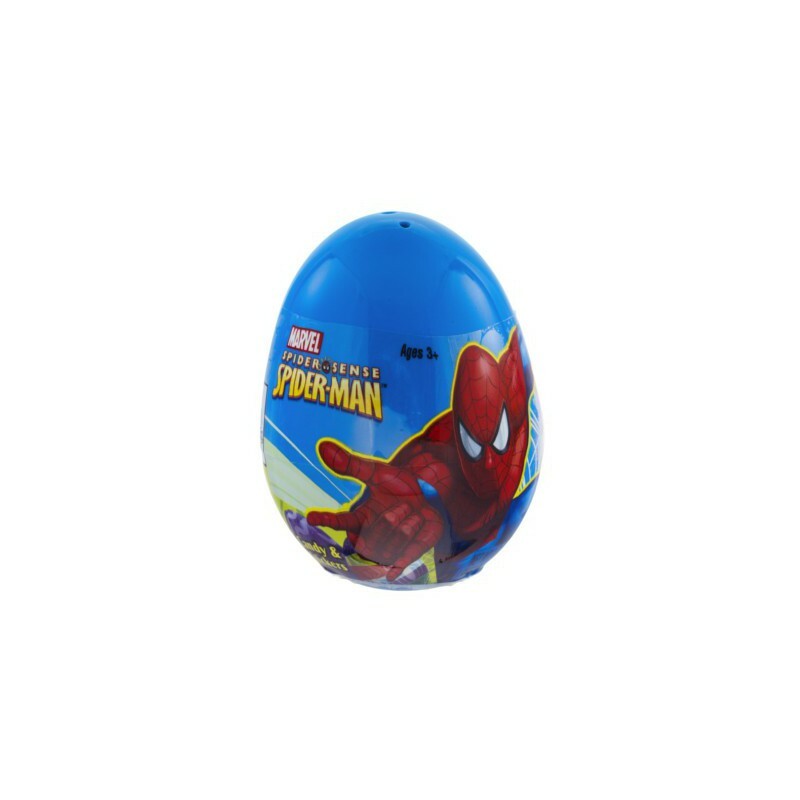 Spider-Man surprise egg contains Spider-Man themed stickers, and fruit flavored candy. 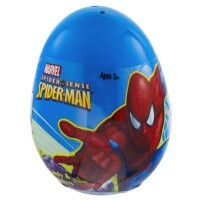 Your kids will love opening their very own Spiderman plastic surprise egg! Egg sold individually with random design. Not for children under 3 years of age. Dried glucose syrup, glucose syrup, dextrin, thickening agent E572, acidity regulator E330, artificial flavors, colors E129*-E133. *May have an adverse effect on activity and attention in children. Contains GMO. Nutrition facts (for 100g): calories 357Kcal, total fat 0g (saturated fat 0g), total carbohydrate 89.3g (sugar 67.9g), protein 0g, salt 0g.